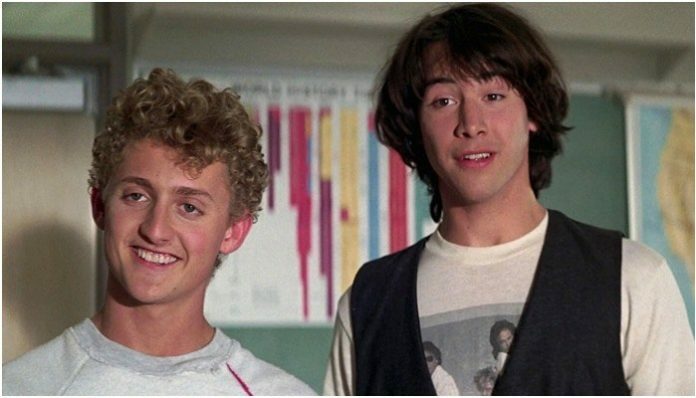 In a new interview with Yahoo News, Keanu Reeves shared that fans might not see Bill and Ted going on their highly anticipated third adventure. Despite previous reports that the film was greenlighted to start production by stars Keanu Reeves and Alex Winter, it seems as though financial agreements and other “show business” logistics are preventing the movie from moving forward. While they’re still in the process of getting the deals and finances for the film solved, that hasn’t stopped Reeves from picturing what Theodore “Ted” Logan will be up to all these years later. We’re totally annoyed that Bill and Ted have seemingly gone on another bogus journey. We can only hope that the financial issues will get resolved soon! Previous articleIs Papa Roach teasing a new album is in the works? Next articleRemember when Wallows played Warped Tour?